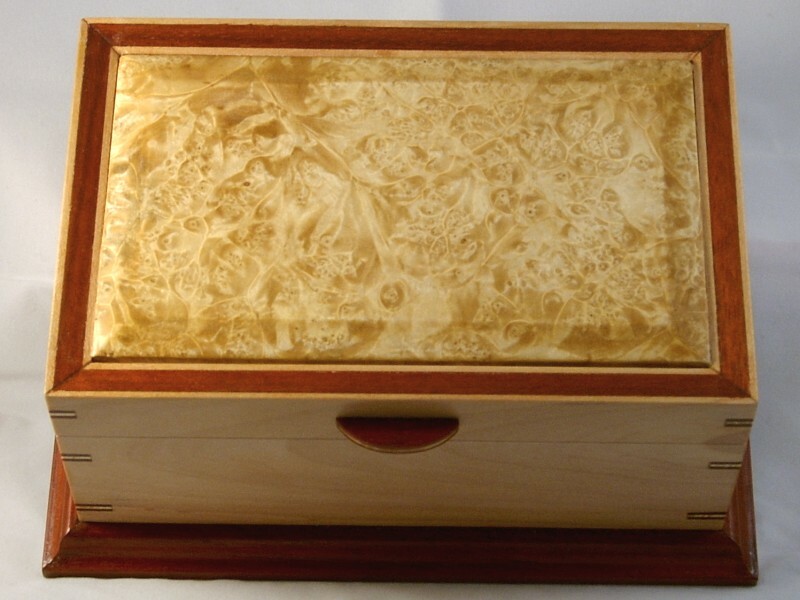 This box is made from Pacific Dogwood with a Box Elder burl top panel. 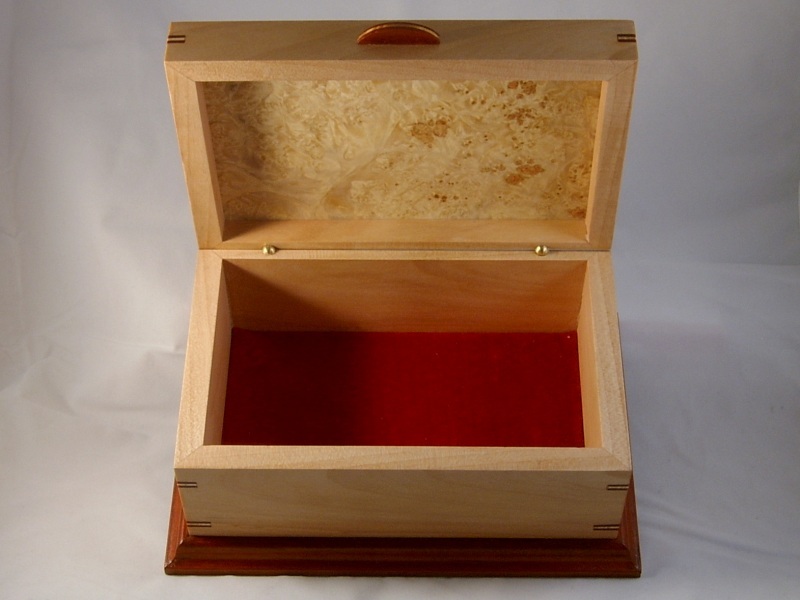 The trim is Bloodwood with Bloodwood and Box Elder laminated lid lift and keyst The box was designed with a four corner grain match. The dimensions are approx. 6x 4 x 3" tall. 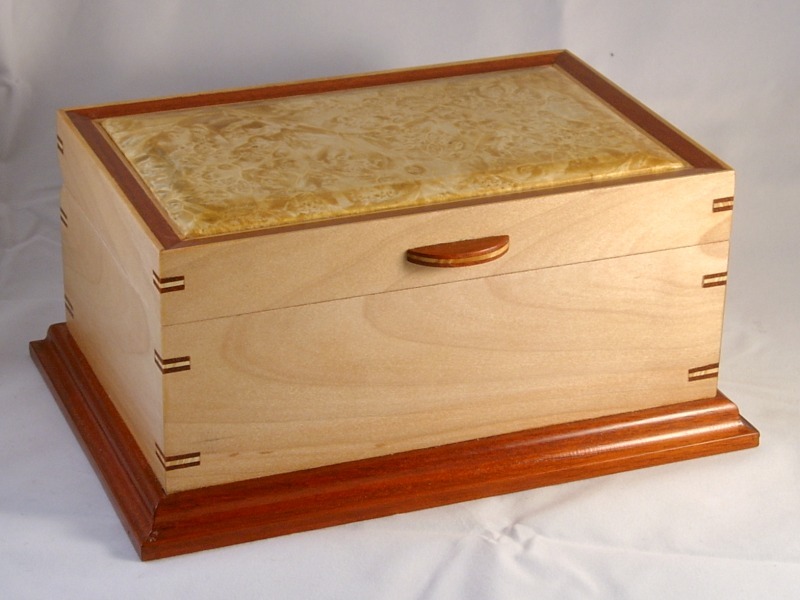 The box was finished with a drying oil on the inside and shellac applied with a French polish technique on the outside and the whole thing buffed out with Carnauba wax to a satin finish. 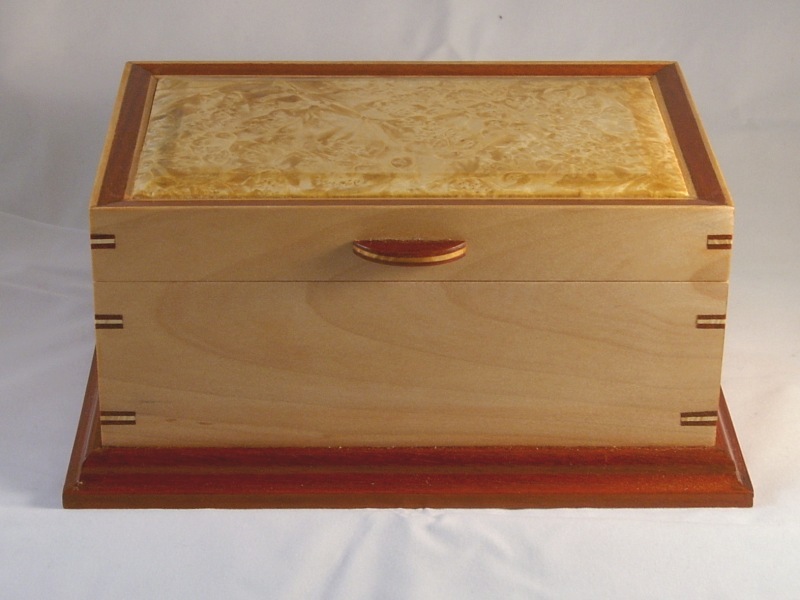 The inside is lined with a velvet-like material Hinges are miniature barrel hinges and the lid will stay open at 90*.